Long-term, sustainable financing is a major challenge for the majority of multisector partnerships, and the organizations aligned with them, in regions across the country. Many depend overwhelmingly on short-term sources of funding—namely, grants. It’s time to explore new financing frontiers! 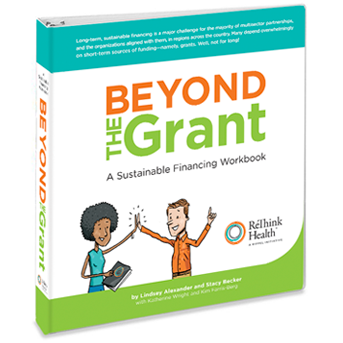 This workbook offers modules with practical, user-friendly tools to answer common financing questions and develop action plans for moving beyond the grant. If this is your first time here, scroll down for a quiz that will help you determine the best place to start. If you're looking for printables (worksheets, not the entire module), you can find them by clicking on the relevant module. START by reading the preface. NEXT dive into the introduction or skip to the module that most interests you! Before you dive in . . .
It’s high time to open new doors to sustainable financing structures. Take a minute to find out how to get ready. What is this thing? Will it really help you finance your work? Is this book for you? (Probably!) Find out what it can do for you and your multisector partnership or organization. Click ‘download’ above to access the entire Module and below for a separate, printable copy of a resource on integrative activities. 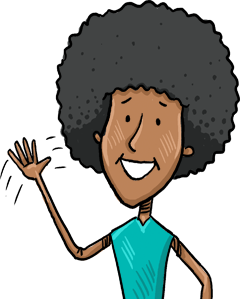 Resource: What are Integrative Activities? How do you move money across sectors and organizations? Right now, there’s a lot of money flowing through your region. (trust us: a LOT). If you could capture just a sliver of that, you could make some serious progress. How do you do that? Well, let’s start by exploring how others have done it. Click ‘download’ above to access the entire Module and below for a separate, printable copy of the worksheet. What is a system (and how does it influence who wins and loses)? Systems, systems thinking, systems-oriented . . . enough already! What the heck is a system anyway? Find out how understanding it can help your partnership or organization achieve its goals. Click ‘download’ above to access the entire Module and below for separate, printable copies of the worksheets. Where can you find money for your work (and how do you get it)? Got grants? Great! Now let’s talk about some other funding sources and see which ones are right for your partnership or organization! Click ‘download’ above to access the entire Module and below for separate, printable copies of the worksheet and the related resource. How much will your dreams cost (and how do you estimate those costs)? Creating a financial plan sounds daunting, but it’s really important (and painless, we promise!). You’ll gain insight into your work just by trying. Don’t worry if you don’t know the numbers—just dive in! Click ‘download’ above to access the entire Module and below for a separate, printable copy of the worksheet and the related resource. What value do you create? You know your work is valuable, but how do you demonstrate that to others? ReThink Health’s Value Sequence can help you identify the value you create, add evidence, and successfully “make the case” for funding. Yes, your collaboration can charge for the services it provides! But how do you even begin to decide what amount to charge? It’s not as hard as it sounds. What integrative activities could you get paid for? “Integrative activities” used to be thought of as coordinating work done by “backbone” organizations. But many organizations share the task of governing and managing collective efforts, and these tasks can be the hardest to fund. Explore the different integrative activities and find out how other partnerships fund theirs! Worksheet: What Integrative Activities Could You Get Paid For? Some final thoughts—and many thanks! 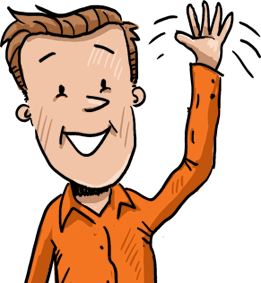 Let’s wrap things up and take a moment to thank those who made this workbook possible. Let’s get on the same page about terminology. Cracking open the workbook and seeing some terms you don’t recognize? You’re not alone, so we’ve put together this glossary. Refer to it as needed while you explore the workbook! The nitty-gritty of integrative activities and financing structures. Want a reference for what integrative activities are and how to demonstrate their value? How about more details on financing structures? We’ve got you covered! Click below for separate, printable copies of each appendix. Your magical assistant for creating a financial plan—or at least as close to that as a spreadsheet can get. Got a finance plan? If not, our Financing Wizard can help! Hone your skills by playing around with a test case, or dive in and mock up a plan for your collaboration. Our easy-to-use Microsoft Excel template gives you all you need to start your collaboration’s financial plan today. Note: please select ‘Enable Macros’ when prompted. Click ‘download’ above to access the entire Financing Wizard and click below for the instructional Handout. Click to download the entire workbook PDF. Is Beyond The Grant for you? I’m much braver about standing up for the value of my work now, thanks to this financing workbook! All too often, even those who are carrying out integrative activities for a regional transformation effort dismiss the work as not fundable and, as a result, don’t pursue compensation. It’s time leaders like you start to confront some of the myths around financing your own work. In our latest blog post, ReThink Health’s Katherine Wright and Lindsey Alexander discuss and debunk five financing myths to help leaders like you pursue new funding strategies for your integrative activities.